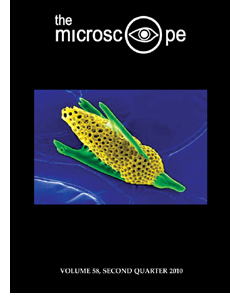 On the cover: A scanning electron microscope image of a radiolarian, an ocean-dwelling protozoan, which was colored using the brush tool in Adobe Photoshop. See Tricks of the Trade: Quick Coloring for SEM Images – Method 2: Photoshop Brush by Sebastian B. Sparenga. Critical Focus: Inventing Life or Reality? Copyright © 2010 Microscope Publications, Division of McCrone Research Institute. All rights reserved.